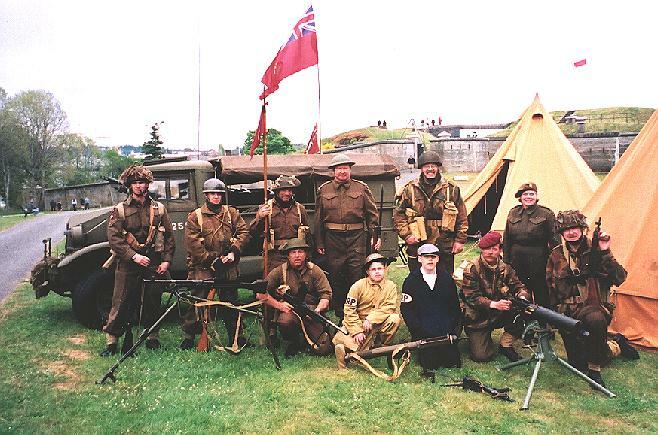 Re-enactors at Fort Rodd Hill near Esquimant-Victoria, British Columbia, Canada in 2002. I am at the far right, kneeling. Re-enactors are people who dress in replica costumes and portray people of a different time period. Some portray soldiers, airmen, fur traders, 1940s female singing groups etc. Here are some photos of a few of these people. 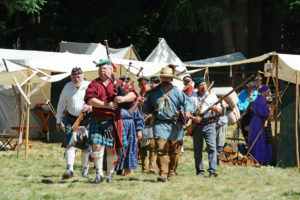 Fort Nisqually Brigade Days 2016 AUG (29) – The Fur Brigade coming up from the river. 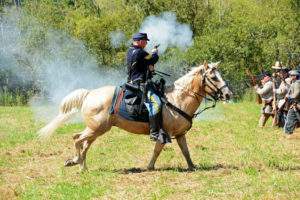 # 551 – Union Cavalry Sergeant on horseback harassing the Rebel troops.